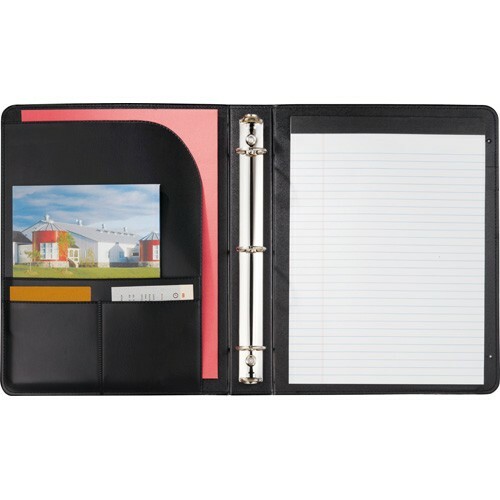 Turned edges, padded covers and silk moire lining. 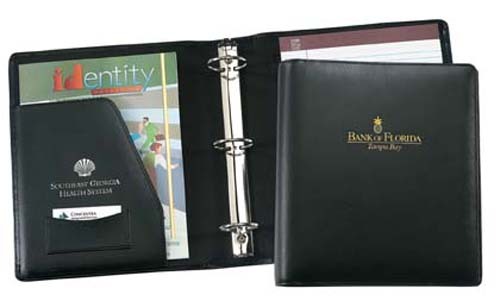 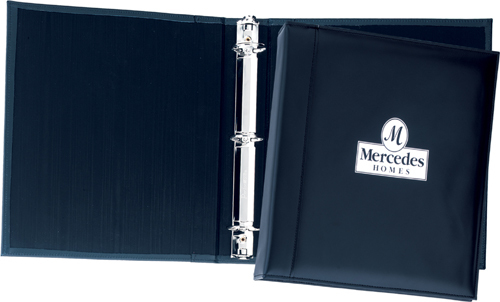 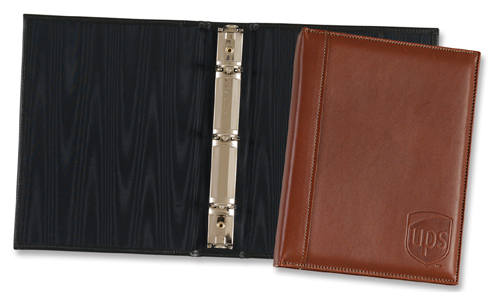 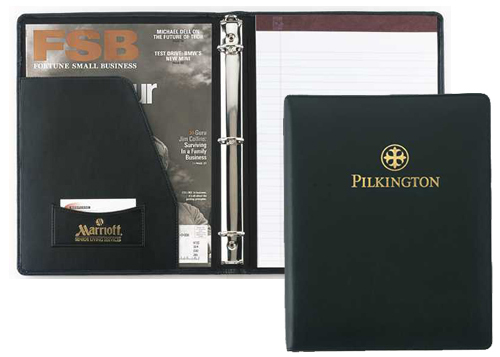 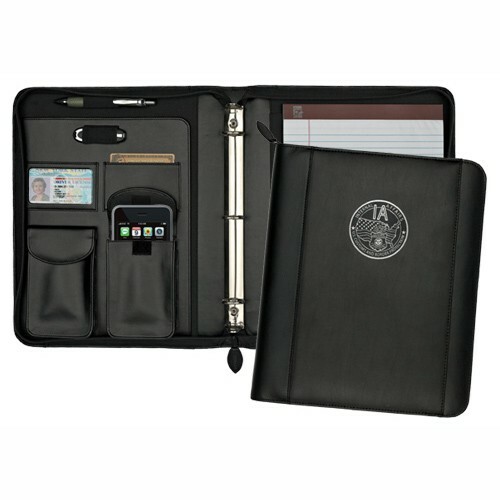 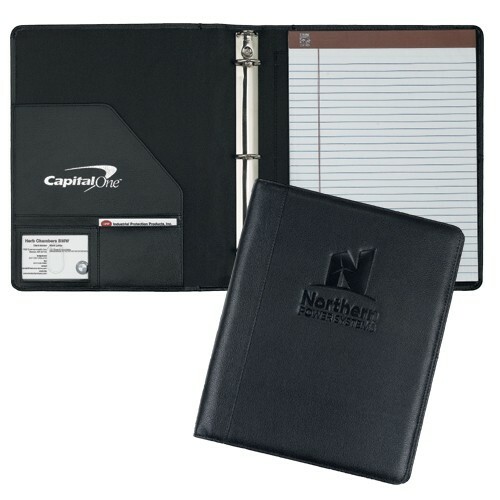 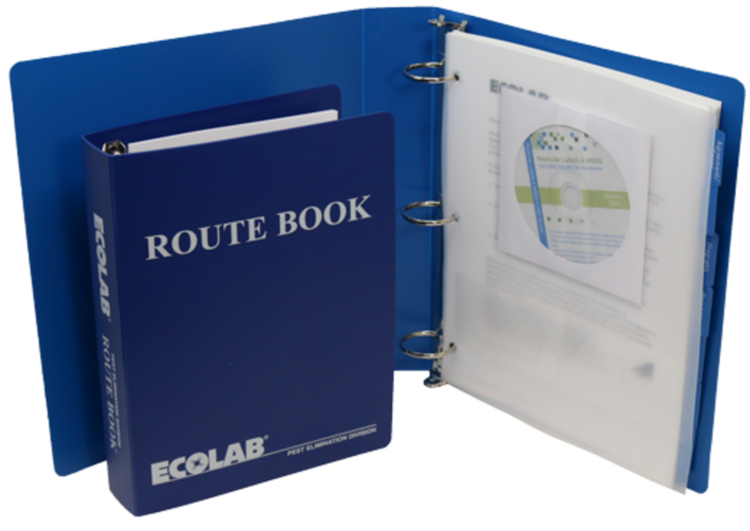 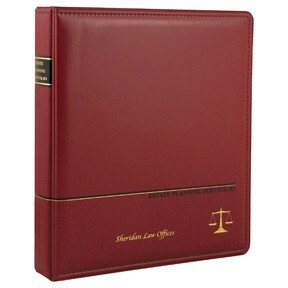 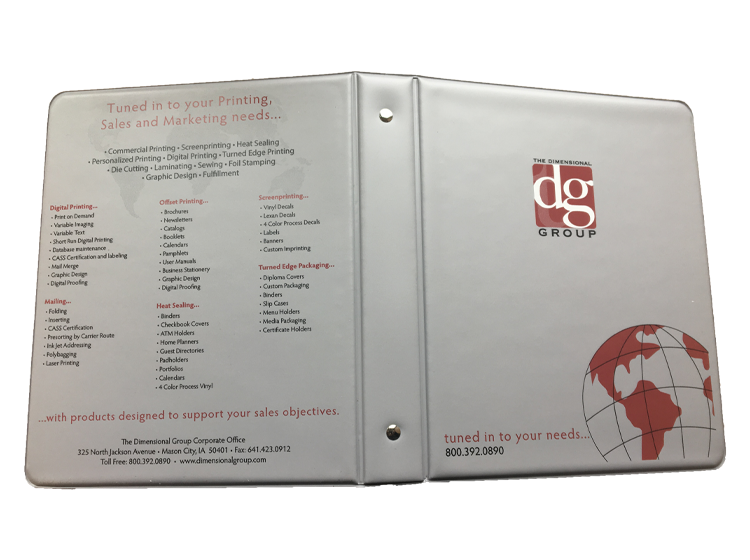 These leather ring binders present a highly polished, professional image. 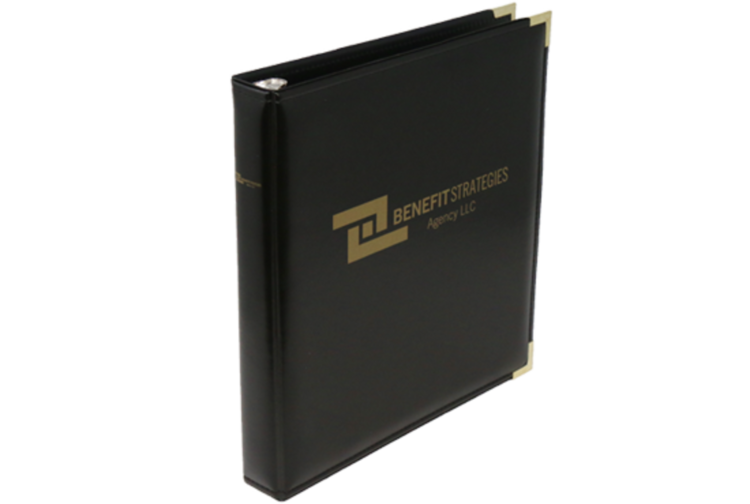 1 1/2" nickel finished rings. 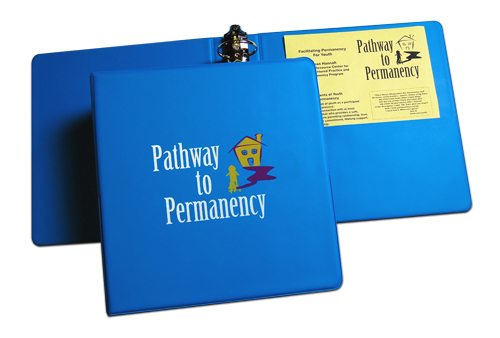 Created to accommodate 5" x 8" sheets. 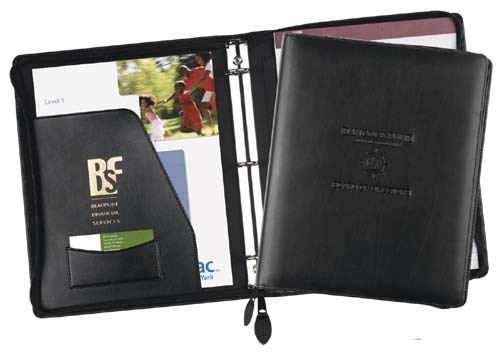 This junior three ring binder features 1" nickel finished rings, padded covers, silk moire lining and French turned edges.